Today I wanted to share with you how we have been building organic traffic from one of the most overlooked social media sites online, Pinterest. Here are some of the facts that you probably didn’t know about Pinterest. 40% of Pinterest user’s have a household income of above $100,000, which means lot’s of Pinterest users have the ability to spend and they are not afraid to do so. Pinterest is fourth behind Youtube, Facebook and Instagram and 29% of Americans use Pinterest. But more than half new Pinterest users are international and are males. So the demographics on Pinterest are changing. Today I wanted to share with you a free tool we use for Pinterest, By using this tool we have had an average increase of 47% engagement rate. Below are some stats we have been getting over the few months by using Tailwind. This is a step by step guide to show you how we generate 100’s of clicks every day back to our blog page from Pinterest using a platform called tailwind this is a very simple tool to use and can be implemented into any Pinterest account to help you grow. If you are ready to learn more about this amazing Pinterest marketing tool let me take you step by step inside this platform and how it can help you generate clicks and sales and save hours and hours of your time. How To Schedule Your Pins. First you need to click publisher on the left-hand side of the toolbar this then brings a drop down section with different elements inside, Once the publisher has dropped down the different elements, You need to click on drafts this is the first step to schedule your pins. Then on the right-hand side there is a clickable button saying create a new pin, Once you have clicked on this the next step is to upload your infographic. 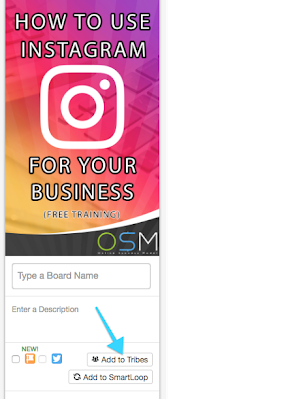 Then the next step is to choose one of your boards you would like the infographic going to, Then you will need to Put in your description of what the graphic/subject is about and then enter the URL you would like your customer to go to once they have clicked on your image. The last part to schedule your pin is the clock icon, Just click the icon and set what time and date you would like your pin to be published then click set custom time and your pin is set to be published. There is also another part to this which is add to queue this will randomly choose a time for you instead of setting the time manually, you can always go back to scheduled posts and change this if you wish. Below are some stats that we have been getting over the last few months by using Tailwind. The 2 images below is over a 30 day period where we generated 424k impressions, 6.2k saves and 2k in link clicks. The image below is how many re-pins and impressions we average on a daily basis. One of the other features inside this platform is an amazing tool called tribes this is probably the best tool inside Tailwind in my opinion with this you can get incredible engagement and lots of repins from fellow tribe members. If you are in the niche of healthy eating, you can go into tribes and search for healthy food, healthy food recipes and join their tribe, I try to find to the tribes with the most members in so your pins have a bigger reach and receive more engagement. I use this tool every day for my business and have seen it grow tremendously in the last 8 week. This part of tailwind has grown massively over the last few months and has scaled our business and sales to well over 40%. Below I will take you step by step on how to use Tribes. On How To Publish Pins Onto Your Tribes. The first thing you want to do is create an eye-catching infographic there are lots of tools out there to use to create graphics paid and non paid the best one I have found is canva this platform is free and very easy to use. Once you have created your graphic go to your tribe’s and pick the one you are wanting to publish your pin onto. 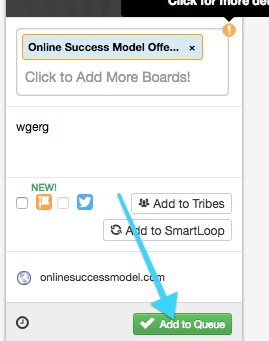 To submit your content to that tribe just click the sidebar and click drafts and upload your pin. Once your pin is uploaded you will see this on your pin. Once you’ve clicked the add to tribes you can pick which tribe you would like to add your content to. Once your graphic is on that tribe and you’re wanting to check your engagement on that graphic, Just go to the top of the tribe’s board and click (YOURS) this will show you how many times tribe members have saved your pin. 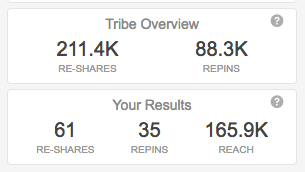 If you want to see the full analytics of what your content has done on the tribe, On the left-hand side there is a section called tribe overview this will show your full results for re-shares, repins and your reach. 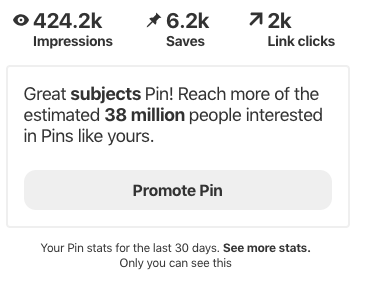 The next section to get the most out of Pinterest is a tool called smart loop this a great way to get your pins a second, third and more chance’s to be found on Pinterest this is great because your content doesn’t get lost and you can get the most out of your pins. First, go to the sidebar and click smart loop once your inside you want to click create loop there are two sections in this part evergreen and seasonal. 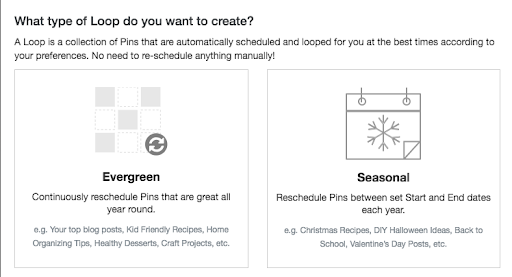 Seasonal- Creating separate Seasonal Loops helps you to organize your Pins and easily control how often they loop, which boards they post to, and for what period of time. How you choose to organize your Loops is up to you. Evergreen- Creating separate Loops helps you organize your Pins to easily control how often they loop and which Boards they should post to. 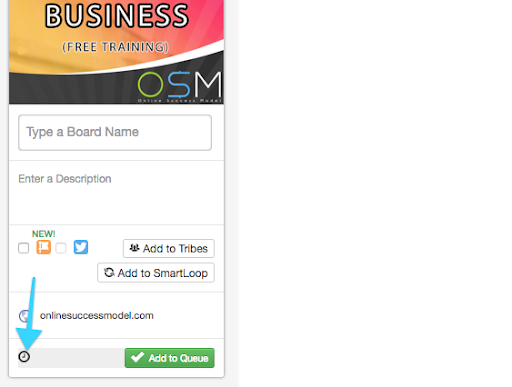 How you choose to organize your Loops is up to you. Once you’ve chosen which section is best for you just start adding your favourite pins to the loop and this will automatically repin these to your board to get the most out of your content. There are a few other parts to tailwind like insights this is accessible in the left-hand sidebar this will show you profile performance, board insights, pin inspector, website insights, organic activity, and referral traffic. This will help you see how fast your account is growing using tailwind. You can also link your Tailwind account to your Instagram account to schedule posts as well which is great to save you hours and hours of time. You will also see the Instagram part has a full analytics so you can see your account grow with just using 1 simple tool. I will put the link at the bottom of the page if you would like to take a look at Tailwinds but this is a no brainer when you can grow your account for FREE. Below you will see some more stats if you still think this tool is too good to be true. If you would like any more information on Tailwinds feel free to drop a comment below and we will be happy to help setting your account up with you. Remember this is free there is no need to pay for an account unless you want to. That’s a pretty incredible system by the looks of it.